I hate when fruits and vegetables go to waste. It annoys me. It’s also a reminder that perhaps I am not preparing them enough or offering them up as often as I should to my kids. Now I know they aren’t permanently attached to some Tositos bag (although one kid comes close), but whatever the reason, it just bothers me to dump wilted celery, moldy peppers…anything. 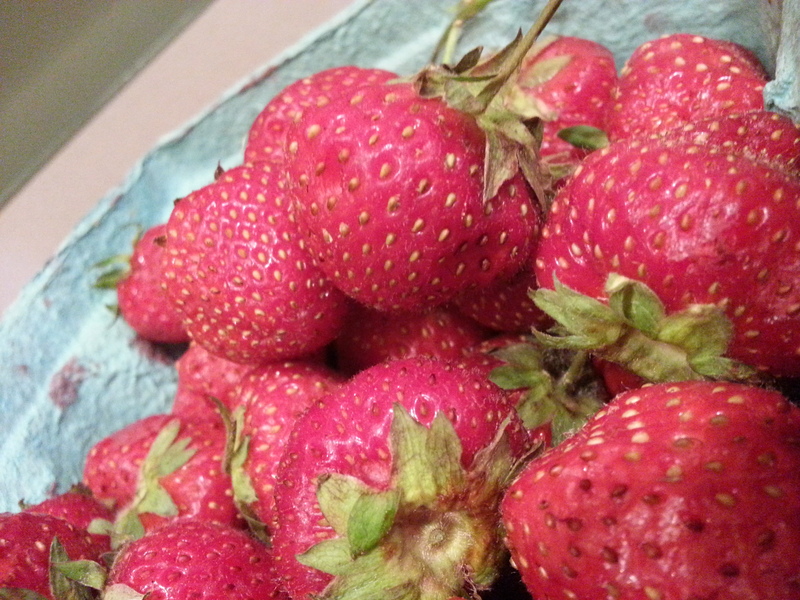 Since it has been strawberry season here, I bought some at the local farm stand and they didn’t disappoint this year. They were really sweet. So it was my goal to go strawberry crazy, and use them up best I could. They were seen on cereal, as snacks, in muffins, with whip cream – everywhere. One Saturday morning, I stared at the carton again, and figured my kids would be surprised to see juice not come from a plastic bottle. I remembered I had stashed several recipes for agua fresca because the pictures looked cool and they sounded like they would taste fresh – hence the name. Plus they would go great with vodka. 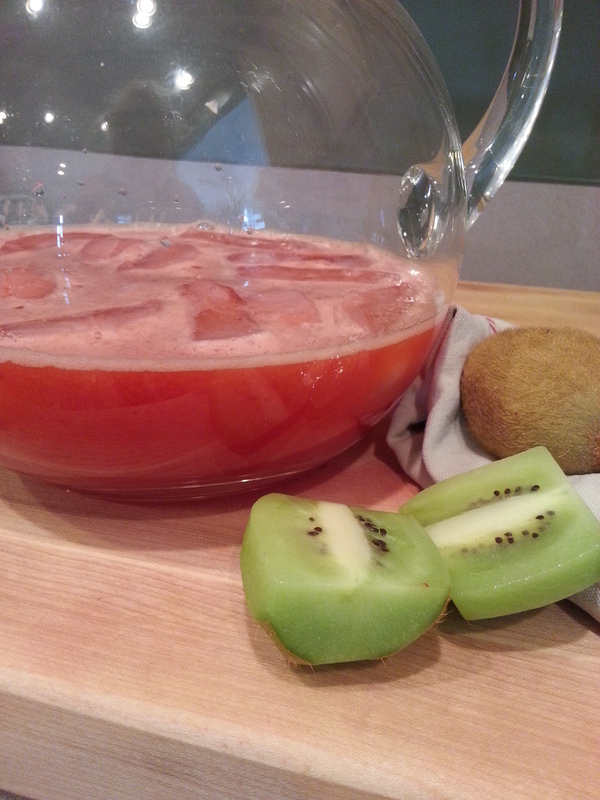 Back to the kids though….I blended up the batch and it was a hit. 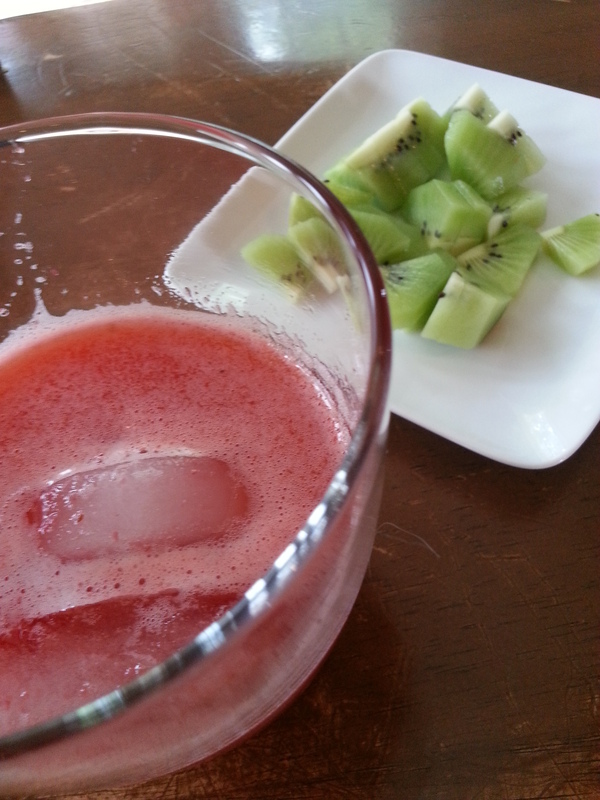 I know I could have been more inventive by adding the kiwi you see in the picture but that was an afterthought. I love that you can adjust the sweetness with honey or agave nectar or whatever sweetener you like, depending on the natural sweetness of the fruit. I was proud of my usage of the last of the strawberries, plus I promised myself that I wouldn’t stress out in the future about food going bad. There is always compost! 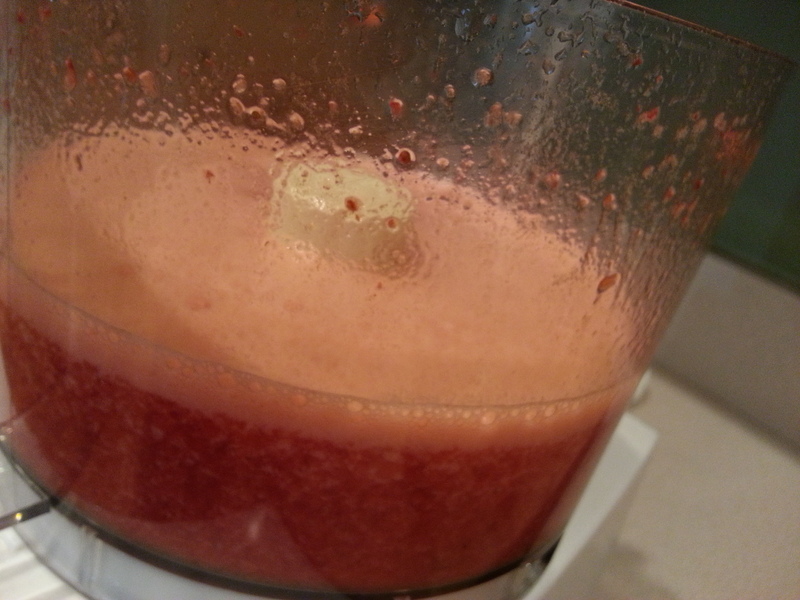 In a food processor or blender, pulse strawberries until chopped. Add the cold water and blend well. 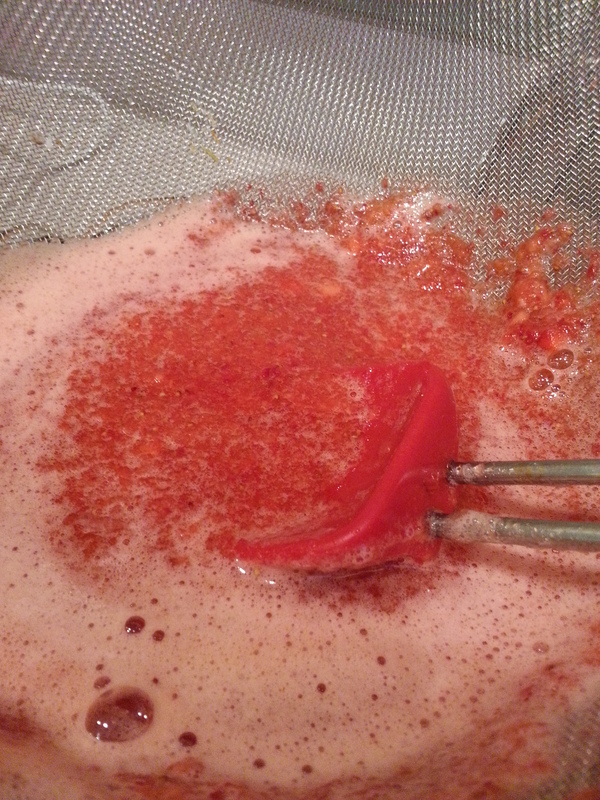 Strain mixture through a fine-mesh strainer or sieve and into a pitcher. Discard remaining solids. Stir in lime juice and honey and add more until desired sweetness is achieved. Serve over ice. note: this is about three servings, so easily double the recipe for your needs. 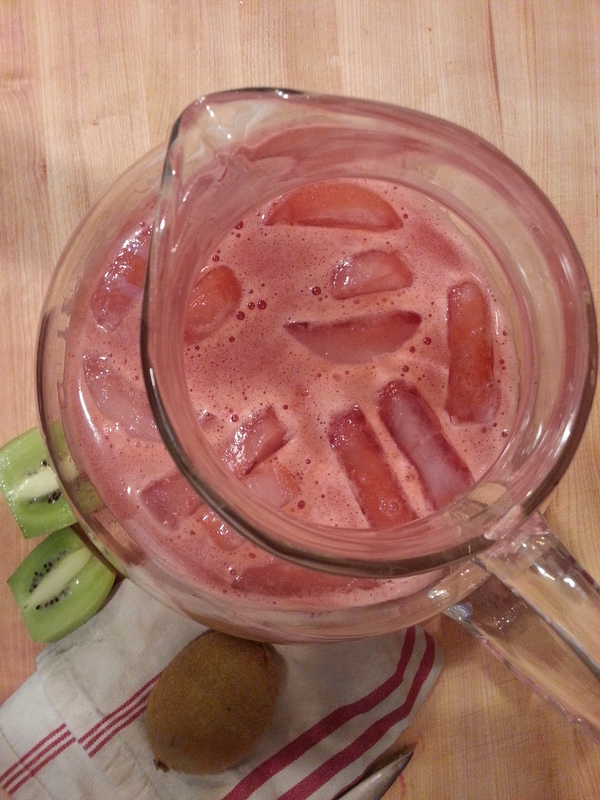 This entry was posted in drinks and tagged agua, fresca, juice, natural, strawberries, strawberry. Bookmark the permalink.